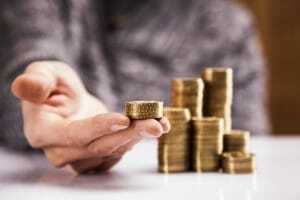 Home » Will I physically hold the metals in my Precious Metals IRA? I’m planning on opening a Precious Metals IRA, but there is one thing I don’t quite understand – will I physically hold the metals? Thank you for the question! One of the benefits of putting precious metals in an IRA is that you don’t have to worry about handling the storage of your metals. The metals will be stored securely in an approved depository or vault for as long your account remains under the management of the IRA custodian. This is actually a requirement of Precious Metals IRAs, as it ensures that your metals are insured against the risk of theft, damage or loss. It not only provides you with the peace of mind that your metals are safe, but also gives the IRS the assurance that all the metals in your account can be easily accounted for. This differs from buying precious metals for physical possession (outside of an IRA), in which you’re responsible for storing your metals at home, in a safe, a bank deposit box or wherever you prefer to keep them. Of course, you do have the right to take physical possession of the metals in your Precious Metals IRA at any time, but keep in mind that it will be considered a distribution from your account and will be taxed accordingly, if applicable. For example, if you take a distribution before retirement age (currently 59 1/2), or if it doesn’t meet any other IRS requirements for qualifying distributions, then you may face tax penalties. This is the case for any type of IRA. The whole process is really simple, and our Precious Metal IRA Specialists can guide you through it, step by step.